This week is National Dental Hygienists Week. From X-rays to cleanings, we just want to take a moment to thank all of our amazing dental hygienists out there for keeping our teeth and gums in smile-worthy shape. And, today, we’re featuring a member of our Jaanuu fam, Maya W., a dental hygienist with a mobile practice who helps the home bound and patients who have physical and mental limitations or disabilities. This is her inspiring story. From the time I was 9 years old, I would follow my mom to the dentist for endless hours. I would wait while she had dental treatment. I noticed how kind, compassionate, artistic and gentle her dentist was. I thought, if such a profession could help people have a better and healthier smile, why couldn’t I be that person? I went on to obtain my Bachelor’s degree in chemistry and biology, along with taking the Dental Admission Test, in the hope of becoming a dentist. After three mediocre attempts at the DATs, my counselor suggested for me to consider becoming a Dental Hygienist. After researching the differences between a dentist and a dental hygienist I realized that by being a dental hygienist I would have more flexibility in my schedule, the ability to work for more than one office and less stress of owning a practice. I put all my eggs in one basket and applied to only one school—the Herman Ostrow School Of Dentistry at UCLA. Not only did I get in, but I was also asked after graduating to become a faculty member, teaching 2nd year dental students instrumentation skills and dental hygiene. What inspired you to start Busy Bee Dental Hygiene? I moved back home to San Francisco and spent a few years working for a wonderful dentist and mentor. I loved teaching my patients about oral hygiene, nutrition, proper techniques, laser therapy and all the new technologies that could help aid in improving their oral health. I started to notice that a lot of our older patients were not capable of getting into our office due to physical limitations, such as being in a wheelchair or lack of transportation. Unfortunately, many of them were aging and starting to have dementia, Alzheimer’s and Parkinson’s Disease, along with other mental and physical limitations. I asked my dentist how we could help these patients, and he replied, “Well, if someone has to do it, then why can’t it be you?” His words struck me like a lightning bolt! I, too, was capable of what wasn’t considered the “norm.” I found a program through the University of the Pacific’s Dental School in San Francisco that was specifically catered to experienced dental hygienists, which allowed us to work within our scope of practice and perform dental hygiene treatments in the comfort of the patient’s home, assisted living or independent nursing facility. This is exactly what my heart desired! I finished the program, obtained my RDHAP (Registered Dental Hygienist In Alternative Practice) license & started Busy Bee Dental Hygiene in 2017. What do you focus on at Busy Bee Dental Hygiene? I now serve patients with physical and mental limitations or disabilities. This special niche of patients tend to be the forgotten. They might not have family members to seek out their dental care, neglect from their care facility, or haven’t had a cleaning in years. Starting Busy Bee Dental Hygiene was not an easy process, and it’s still a great learning experience. To know that I am able to step out of the traditional box of dentistry and see patients through my mobile business has started to spark within the Bay Area. What is your advice for aspiring dental hygienists? I’m humbled to know that I can help prevent disease, inflammation, potential risks and health issues for my patients. My advice to any potential dentists, RDHAPs, Dental Hygienists & Dental Assistants is to never limit yourself. There is always a path that you might not have originally planned, but in the long run it can become a better path for your career and life. Just like my mentor asked me, “Why can’t you be the one to do it?”—advocate for yourself to know your self worth and achieve a dream that helps others in need. 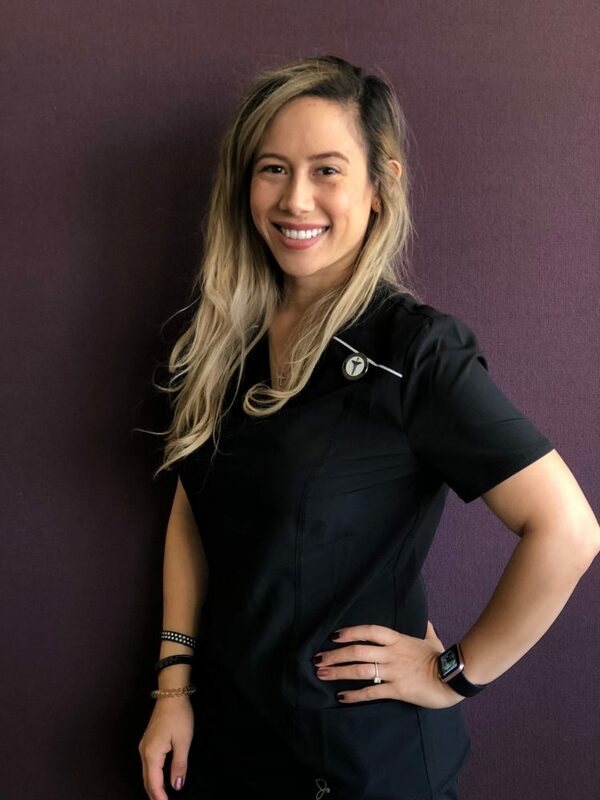 Being a dental hygienist is not just a “tooth cleaner.” We are empowered, motivated, educated clinicians who compassionately strive to motivate others to improve their oral and overall health so our patients may enjoy their life with a healthier smile. If you could give one piece of dental care advice, what would it be? Within the dental field, it’s common for a health practitioner to want to please every patient. You try your best to be pleasant, focused, gentle, compassionate and adaptable. Yet, what if these many characteristics aren’t enough? You can only be true to yourself and give the best patient care to your patients. Regardless of what you learn in school, which is both clinically and educationally based, you are never taught social skills or proper bedside manner and how to read a patient. These social skills come through time and experience. My best advice is to not be so hard on yourself. Anyone can be a patient, but you can’t be the hygienist for everyone. Your patient’s personality might not match up to yours, and that’s ok! As long as you know you were respectful, kind, considerate and displayed self confidence within yourself as a clinician, then through time you will gain that respect from your patient. Follow Maya! You can find her on Instagram here and here.